BACK ON THE MARKET, BUYERS FINANCING FELL THROUGH. PRICE REDUCED!!! Beautifully RENOVATED & MOVE IN READY END UNIT with a BRAND NEW TILE ROOF (ONE OF THE ONLY FEW WITH A BRAND NEW TILE ROOF) in the highly sought after gated community of Barclay Place at Heathrow! This two full master suite bedrooms, two full bathrooms, and two story home is completely turn key! Featuring a stunning kitchen with granite counters, stainless steel appliances & sink, NEW tile flooring, NEW remodeled bathrooms with granite counters, NEWER tile flooring, NEW gorgeous tiled walk-in shower in the downstairs master bathroom and NEW lighting & mirrors. There are large walk-in closets in both spacious bedrooms. NEW FRESHLY PAINTED INTERIOR, BRAND NEW carpet throughout, all NEW fans throughout with LED lighting, spacious family room with volume ceilings, wood burning fireplace, & inside utility with included washer & dryer! BRAND NEW TILE ROOF, BRAND NEW WATER HEATER, BRAND NEW INTERIOR A/C & EXTERIOR A/C COMPRESSOR. Enjoy entertaining or relaxing on the lovely outside courtyard and the private screened back porch with double french door entry. Sellers offering a home warranty. Community amenities include community pool, clubhouse, and tennis courts. 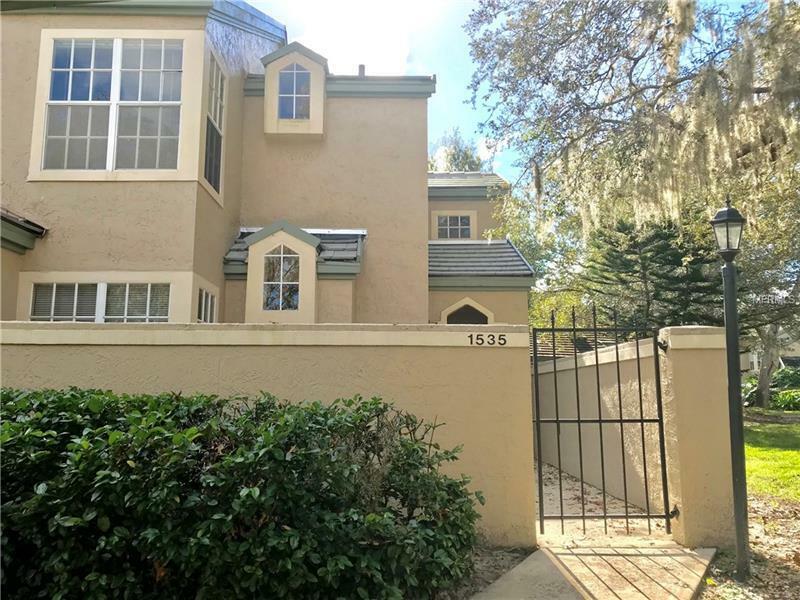 Ideal Lake Mary location close to shopping, restaurants, I-4 and the 417. Available for quick closing!!! PUT THIS ONE AT THE TOP OF YOUR LIST & SCHEDULE A SHOWING TO SEE TODAY!!! Property may be under audio/visual surveillance. Pet Restrictions: Please confirm pet restrictions with community management company.